Netherton syndrome (NS) is a rare autosomal recessive ichthyosiform disease. The incidence is 1 in 200,000. It is caused by mutation in the serine protease inhibitor Kazal-type 5 gene which encodes the lymphoepithelial Kazal type-related inhibitor. It presents with ichthyosis linearis circumflexa, trichorrhexis invaginata, and atopy. 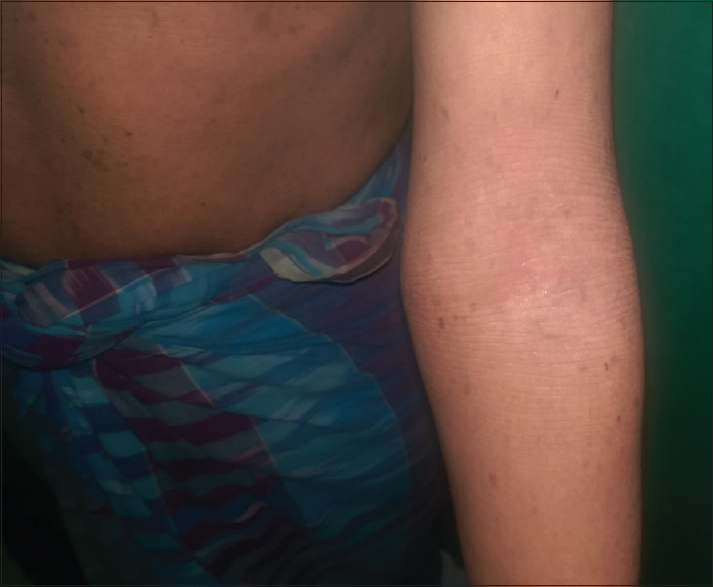 A 20-year-old male presented with erythroderma and further examination revealed atopic features. Dermoscopy was a convenient tool in identifying trichorrhexis nodosa. We are reporting a case of NS presenting as recurrent erythroderma. Netherton syndrome (NS) is a rare autosomal recessive genodermatosis characterized by hair shaft defects, ichthyosis, and atopy. Clinically, it presents with ichthyosis linearis circumflexa, trichorrhexis invaginata, and atopy. Here, we report a case of NS presenting as recurrent erythroderma. The incidence is 1 in 200,000. There are very few cases reported in India. This case is being presented for its rarity and use of dermascope for its early diagnosis. A 20-year-old male presented with generalized scaling associated with chills of 2 months duration. He was born to a nonconsanguineous marriage. There was history of redness and scaling a week after birth. He gets episodes of generalized redness and scaling, 1-2 episodes per year, for the past 15 years. In between the episodes, few scaly plaques are present over trunk and extremities which resolve spontaneously in few days. Personal history of atopic like eczema and allergic rhinitis was present. He was moderately built. Generalized erythema and scaling were present [Figure 1]. Multiple excoriations were seen. 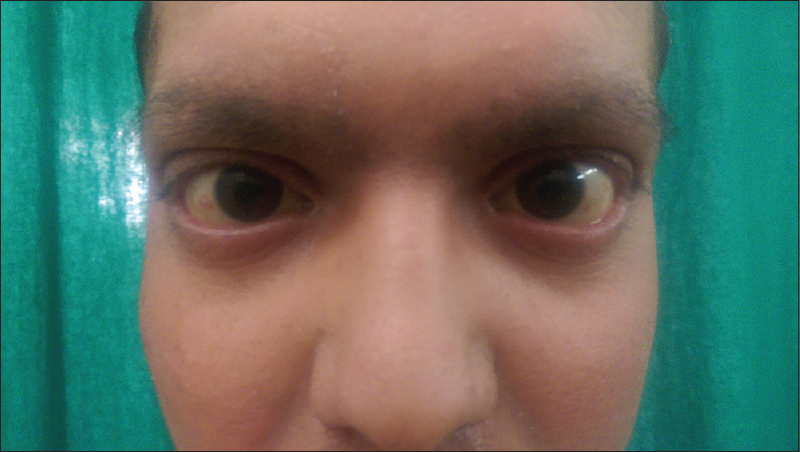 Chronic blepharitis with decreased eyelashes [Figure 2] and flexural lichenification [Figure 3] was present. Double-edged scaly eruptions were not seen at the time of examination. 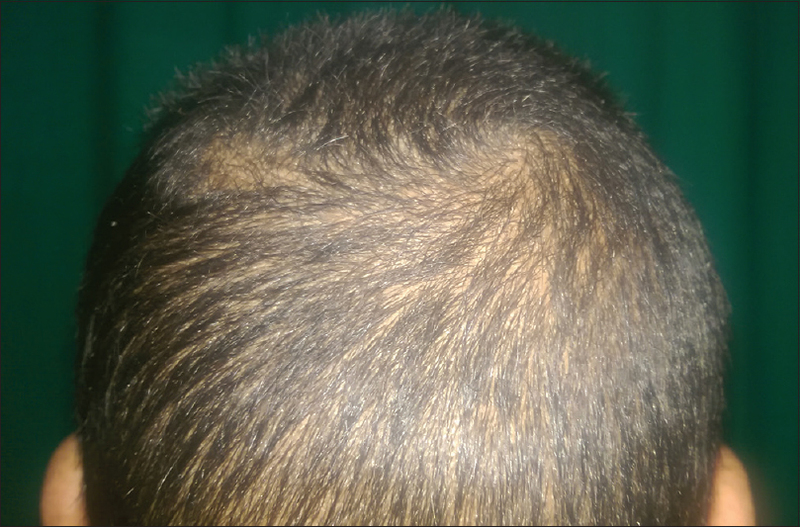 The scalp hair was short, dull, brittle, and decreased in density [Figure 4]. Nails were smooth and shiny. 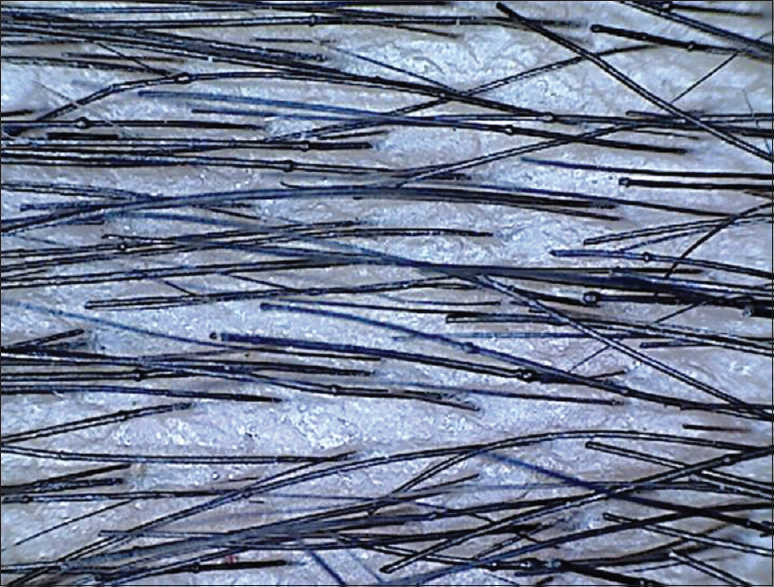 Dermoscopy of scalp hair showed numerous bamboo hairs [Figure 5]. 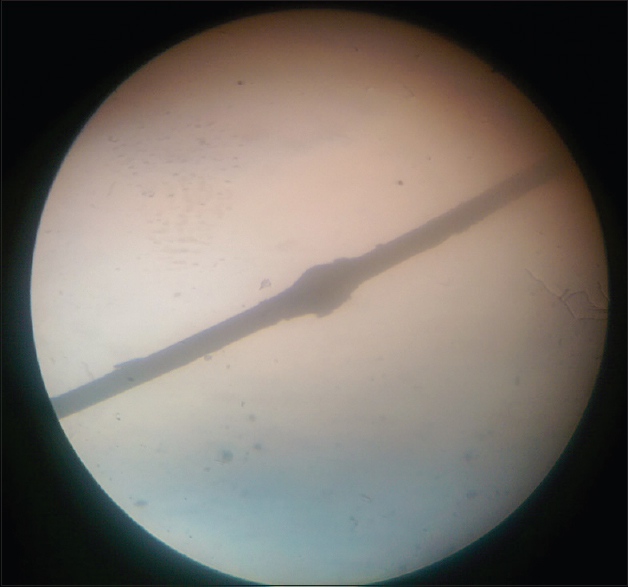 Light microscopy of scalp and eyebrow hair showed trichorrhexis invaginata [Figure 6]. Blood test revealed eosinophilia and raised serum IgE (>3000). Histopathology of skin lesions was nonspecific with psoriasiform changes. On the basis of recurrent erythroderma, trichorrhexis invaginata, and atopic manifestations, a diagnosis of NS was made. van Smeden J, Janssens M, Boiten WA, van Drongelen V, Furio L, Vreeken RJ, et al. Intercellular skin barrier lipid composition and organization in Netherton syndrome patients. J Invest Dermatol 2014;134:1238-45. Xi-Bao Z, San-Quan Z, Yu-Qing H, Yu-Wu L, Quan L, Chang-Xing L. Netherton syndrome in one Chinese adult with a novel mutation in the SPINK5 gene and immunohistochemical studies of LEKTI. Indian J Dermatol 2012;57:265-8. Fleckman P, Digiovanna JJ. The ichthyosis. Fitzpatrick′s Dermatology in General medicine. 7 th ed., Vol. 1. New York: McGraw-Hill; 2008. p. 401-23. Judge MR, McLean WE, Munro CS. Disorders of keratinization. Rook′s Text Book of Dermatology. 7 th ed., Vol. 2. Oxford: Blackwell Science; 2004. p. 34-5. Aradhya SS, Srinivas SM, Hiremagalore R, Shanmukappa AG. 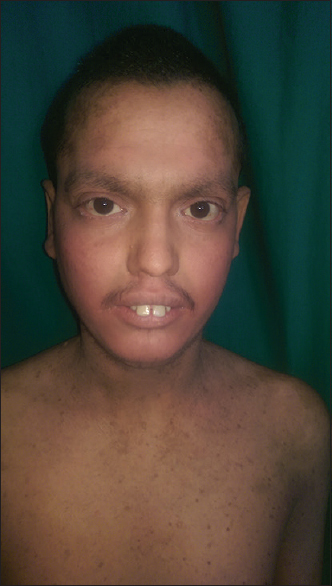 Netherton′s syndrome masquerading as psoriatic erythroderma. Indian J Paediatr Dermatol 2014;15:89-91. Meltem Akkurt Z, Tuncel T, Ayhan E, Uçmak D, Uluca U, Uçak H. Rapid and easy diagnosis of Netherton syndrome with dermoscopy. J Cutan Med Surg 2014;18:280-2. Johnson BL, Honig P. Congenital diseases (Genodermatosis). Lever′s Histopathology of the Skin. 9 th ed. Philedelphia: Lippincott Williams & Wilkins; 2005. p. 142.